So it happened, my son started Kindergarten yesterday. It was an emotional day but today is better. One thing that has made the transition easier for me, is to make Kindergarten memorable and fun for him. So last night while I was grocery shopping at my local Walmart, I came up with an idea for a Tackle Box Bento. 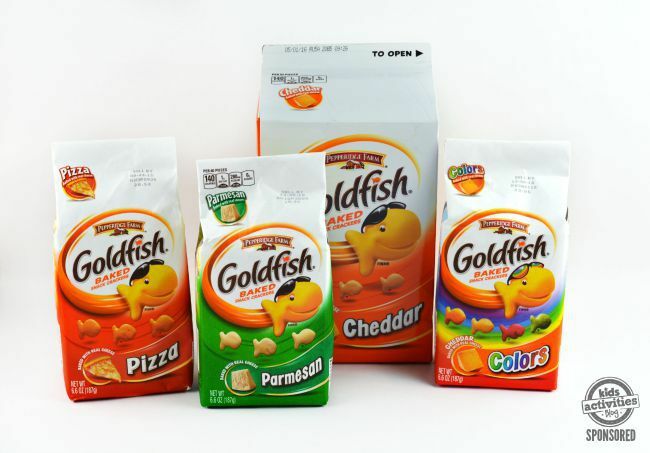 I’ve mentioned before how one of my son’s favorite snacks is Pepperidge Farm ® Goldfish Crackers which is why we have partnered with them today to bring you this fun lunch box idea. 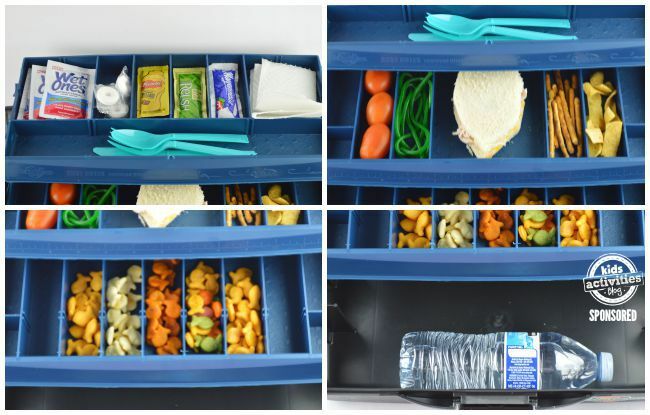 As we say goodbye to summer and hello to fall, I couldn’t think of a better way to do it then with a tackle box lunch. There are so many items you can add to it to make it enjoyable and tasty but I went with foods I knew my picky eater would eat and that would resemble items you would see in a real tackle box. So if you are ready to make your own, check out the tutorial below! 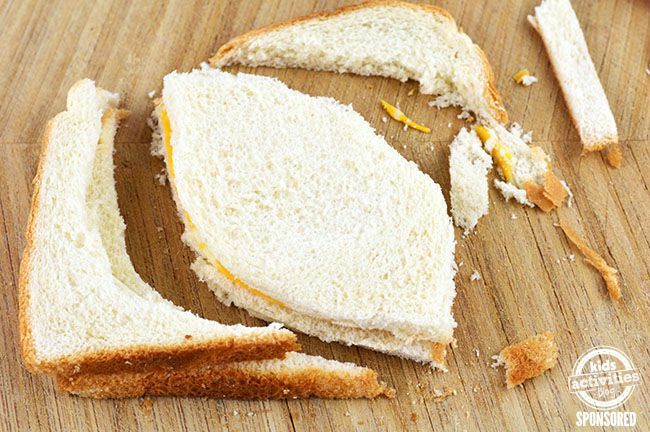 Start by making a sandwich and cutting it into the shape of a boat. I made a simple turkey and cheese sandwich and it worked fine. 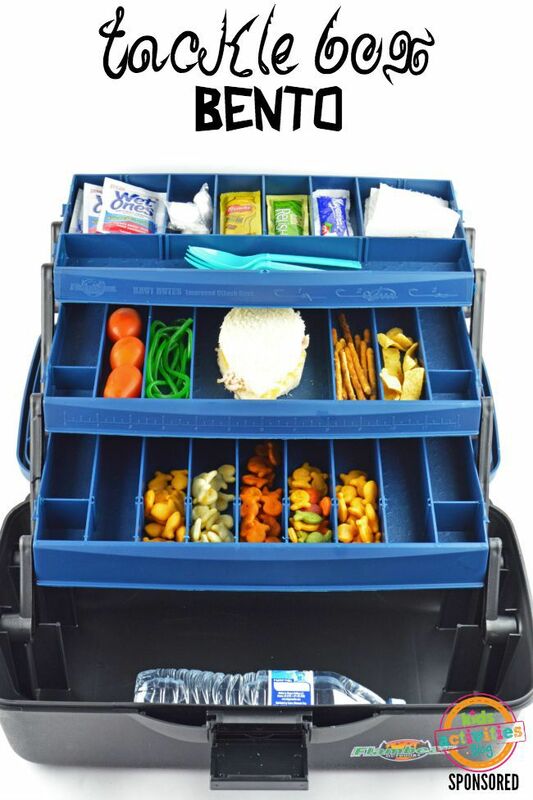 Place all the items into your tackle box working section by section until the tackle box bento is exactly the way you want it. Keep in mind if you are sending your child to school with this, you will also need to add ice packs to keep everything cold. Once all is said and done, you child will be enjoying a delicious lunch in a fun way! Plus you will be happy knowing they did it all with clean hands! One of the best things we can do as parents is make sure our children are prepared and ready for anything when they are away from us. One of those things is ensuring they have a way to keep their hands clean which is why I love Wet Ones Singles so much. I can pretty much pack them everywhere my son goes so he is always ready to clean his hands when needed. They fit perfectly into lunch boxes (like you see above), backpacks, gym bags, etc. Plus you can Enter for a chance to win a years supply of Wet Ones ® for use in your home and your child's classroom, plus $1,000 cash! So make sure you head over and enter! We’d love to see a Kids Activities Blog reader win! This is a sponsored conversation written by me on behalf of Wet Ones ® + Pepperidge Farm ® . The opinions and text are all mine.